As the calendar rolls into February and second semesters begin throughout the country, it can be useful to think about implementing student surveys in your classes. Larry Ferlazzo, an ESL teacher and Learning Network contributor, polls his students every semester and finds the feedback he receives invaluable. “I’ve found that receiving feedback from my students about the class and my teaching style has helped me become a better educator,” writes Larry on his blog where he has compiled a host of resources to guide teachers through the survey process. Larry’s blog has everything from the form he uses with his students to his reflections from surveys he’s given to students in the past. 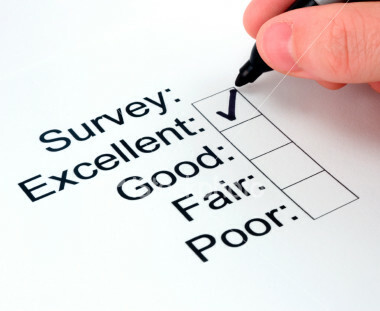 Keep the surveys anonymous to encourage honesty. Be sure to inform your students or colleagues about why you value their opinion before they fill it out. Don’t make the form too long; 5-10 minutes to complete the form should suffice. Don’t dwell on the outliers–good or bad. Use the results to inform your practice. What does the data say you can improve about your classes, department or school right away? So, if you’ve never surveyed your students before, consider trying it out–it can be tremendously worthwhile.